Lilium is a large genus in the Liliaceae family. 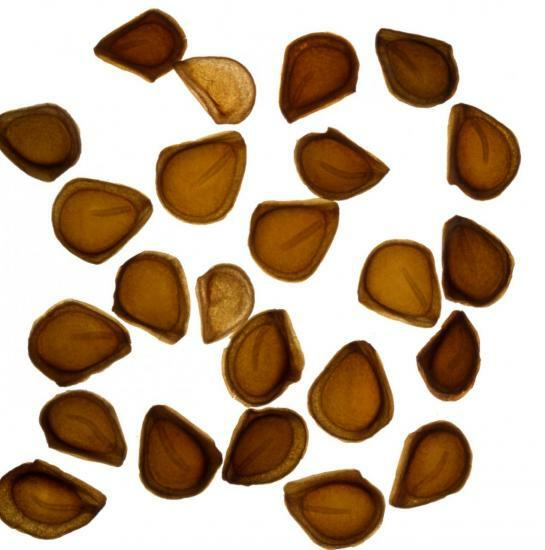 This page is devoted to lilium seeds. Photographs by David Pilling when not otherwise credited, the grid where visible is 10 mm. 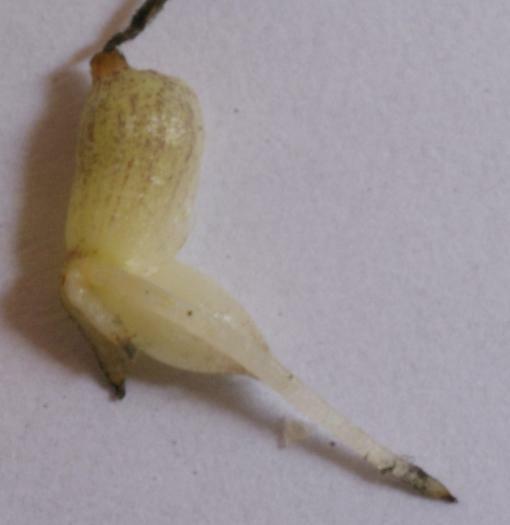 For growing from seed see Lily Germination and Lily Germination By Species. For details of flowers see Lilium Flowers. 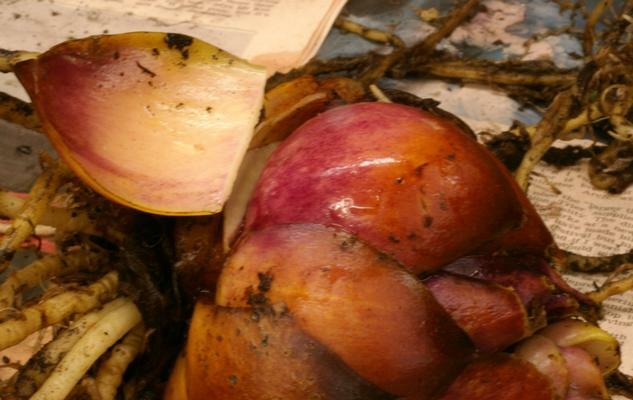 For photos of bulbs see Lilium Bulbs. 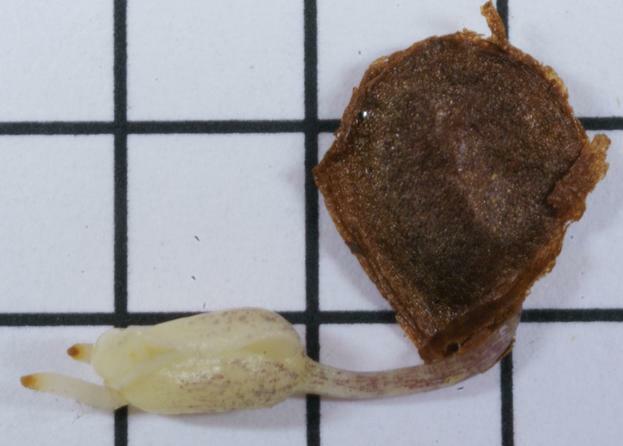 In viable seed an embryo is visible. 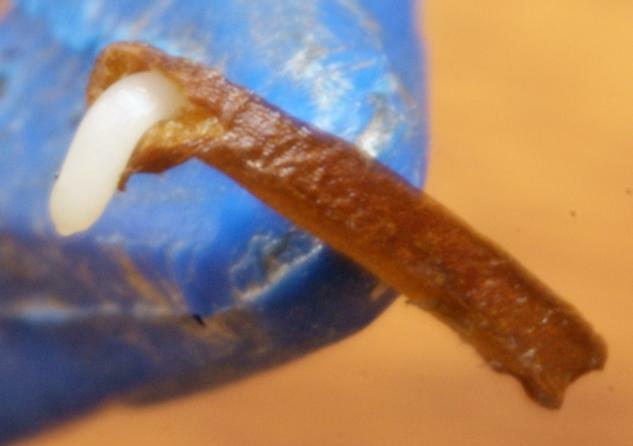 This observation has led to the technique of "candling" seed, holding it up to a bright light to sort out the good from the bad. 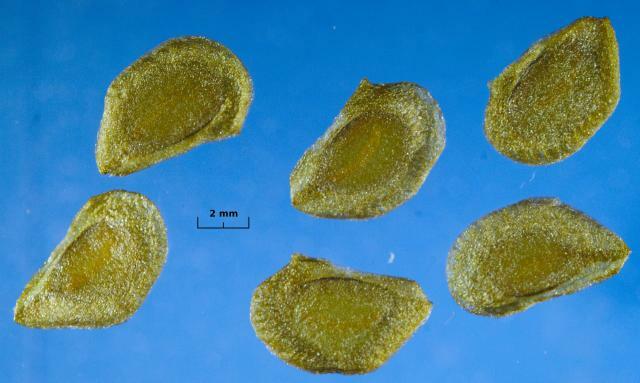 Very rarely seed can have more than one embryo. 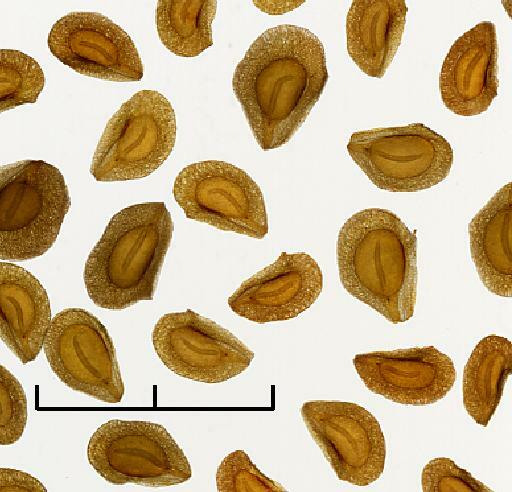 In some related species (see Fritillaria Germination) the embryo only develops after the seed is wet and exposed to low or high temperatures. 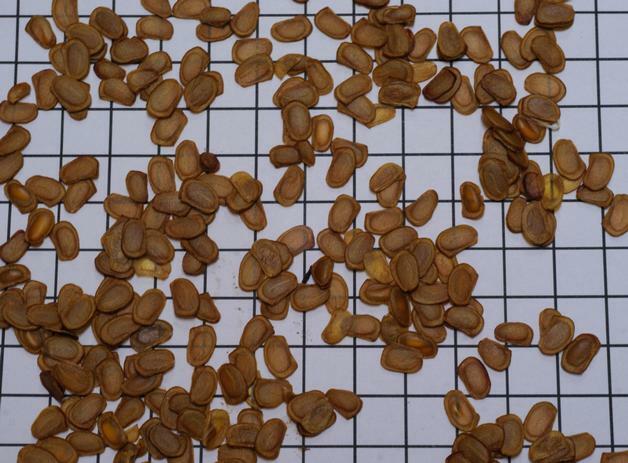 An alternative technique is 'winnowing', blowing over the seeds, the viable seeds are heavier because the endosperm around the embryo is thicker, the chaff is lighter and easily blown away. The following pictures were produced with a transparency scanner. 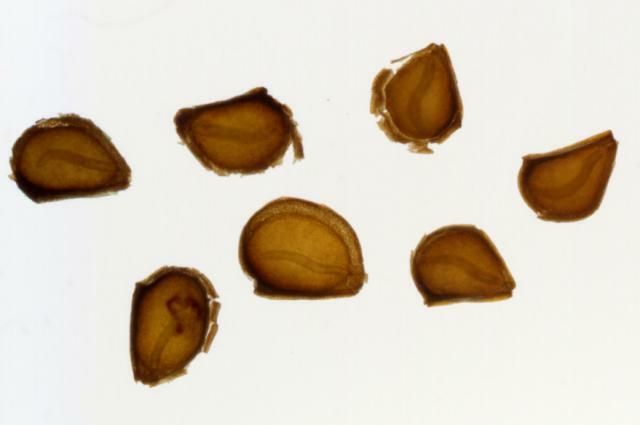 In the first of Lilium regale seed, the seeds are oriented so that if they germinated the root would emerge downwards. This means it is possible to sow seed the right way up. 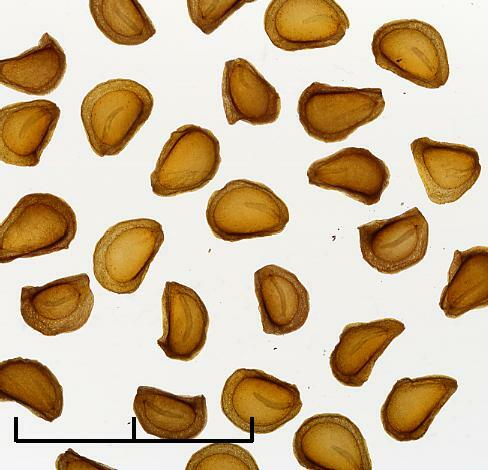 Three seeds without embryos are visible. 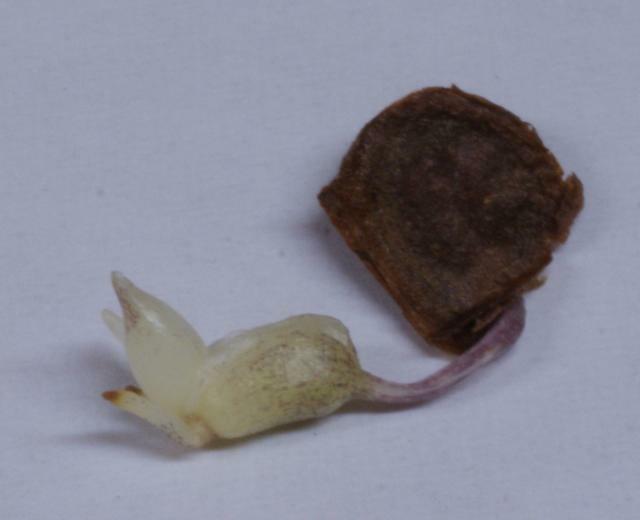 The remaining pictures are of Lilium amabile, Lilium formosanum, Lilium martagon, Lilium monadelphum and Lilium pyrenaicum seed. 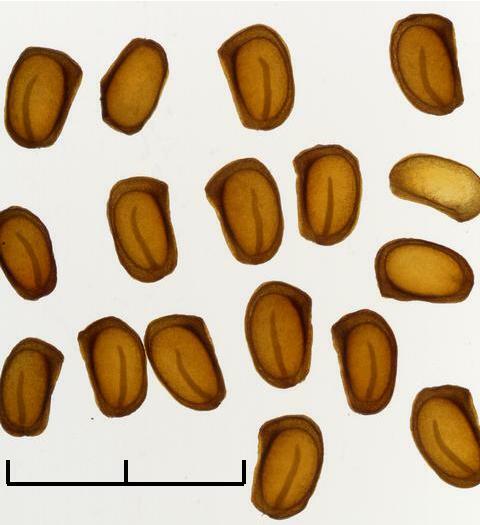 There is species variation in seed but it is small and there is variation dependent on how good a growing season has produced the seed. And finally, Lilium davidii. The scale in the transmitted light photos is 2 cm. 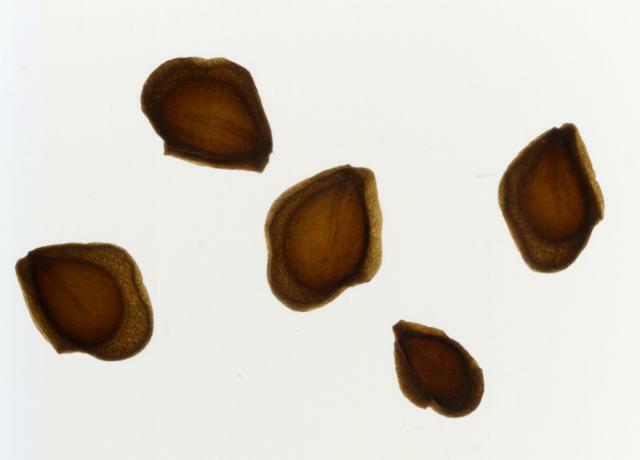 Seed photographs taken with reflected light of Lilium regale, Lilium amabile, Lilium formosanum, Lilium martagon, Lilium monadelphum and Lilium pyrenaicum. The scale is 2 mm. 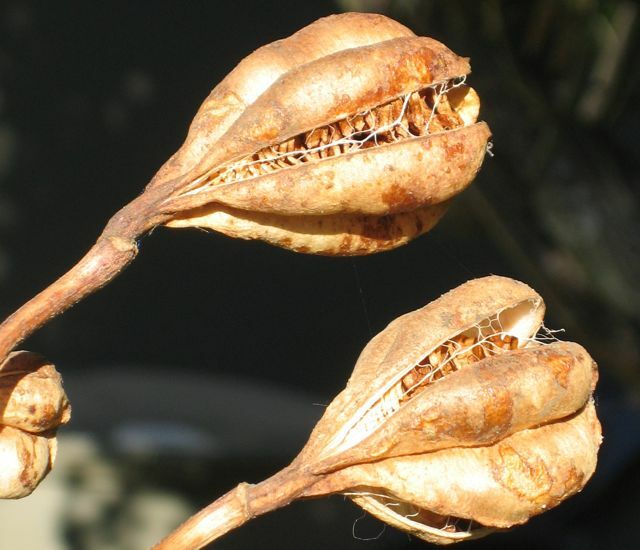 Lilium seed pods. 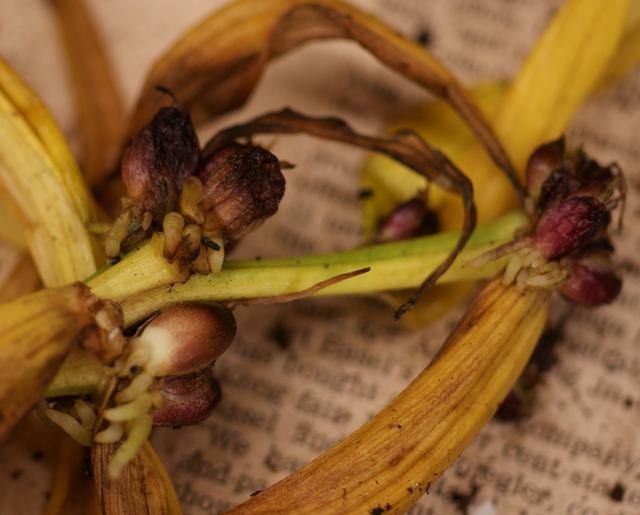 Successfully pollinated flowers will form seed pods and they will begin to swell. It is important they are left to ripen. 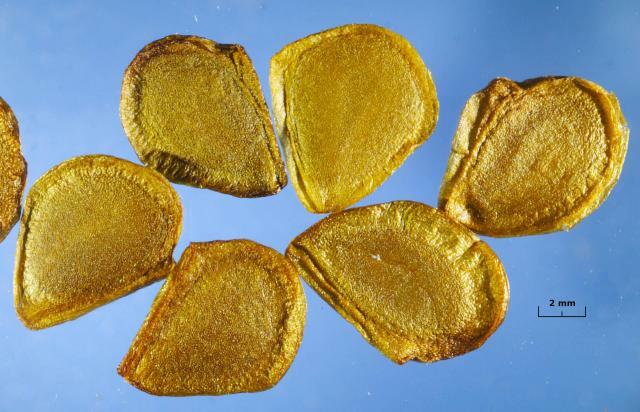 This can be a problem because some species take a long time, and ripening pods can be attacked by caterpillars. 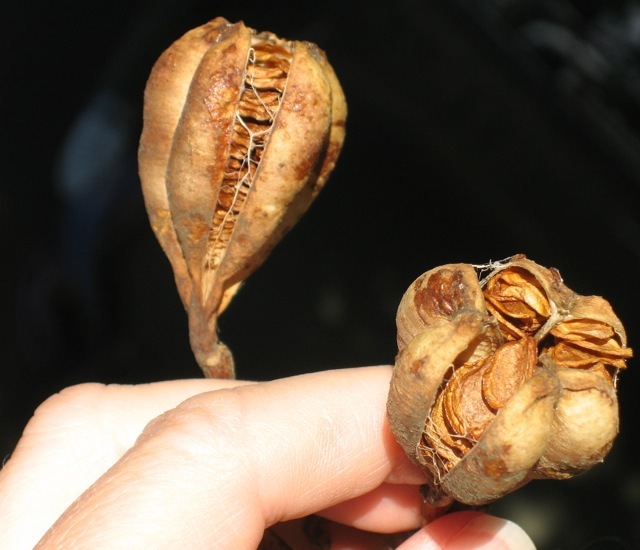 When the pods turn brown and slight pressure causes them to start to split they can be picked. 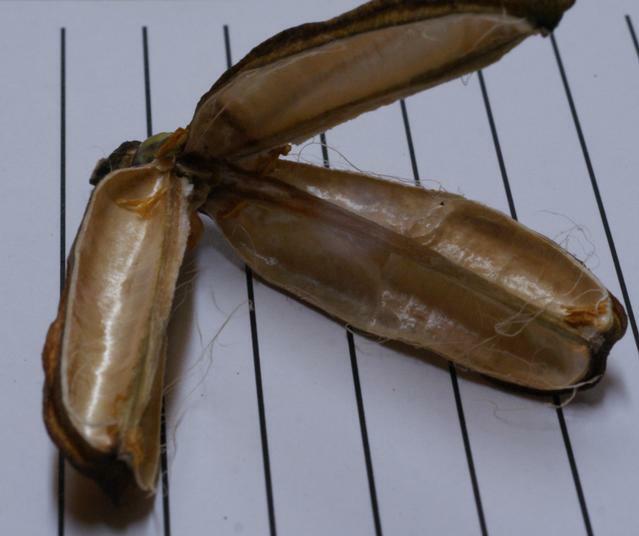 A lily seed pod contains three compartments each with two rows of seeds in. 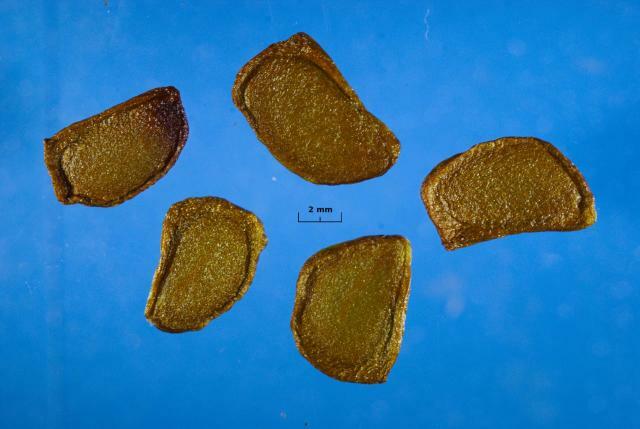 Typically there are one or two hundred seeds per pod. 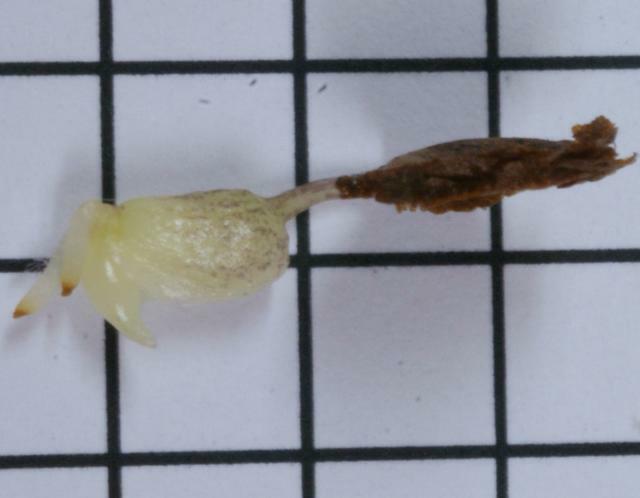 The first set of photos show a yellow trumpet lily seed pod. 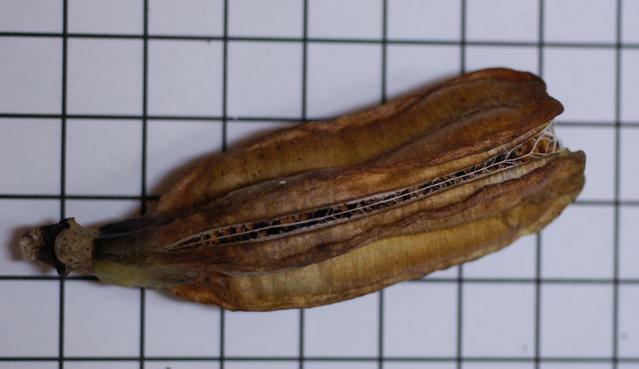 The second set of photos show a Lilium regale seed pod and resulting seed. 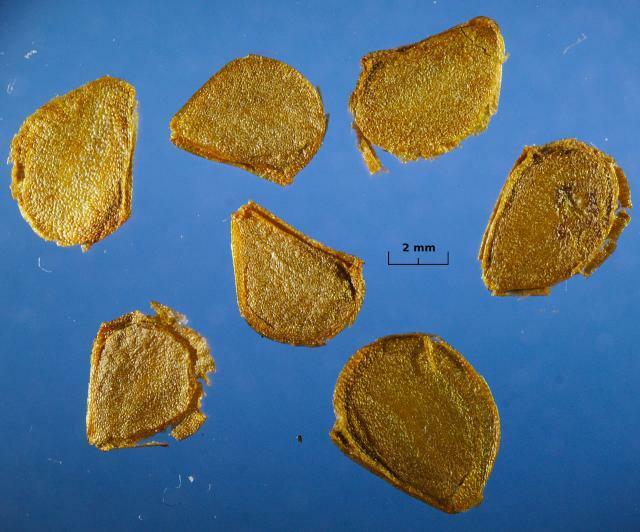 The third set of photos show Lilium candidum seed pods dry in September from May blooms, grown by M. Gastil-Buhl. 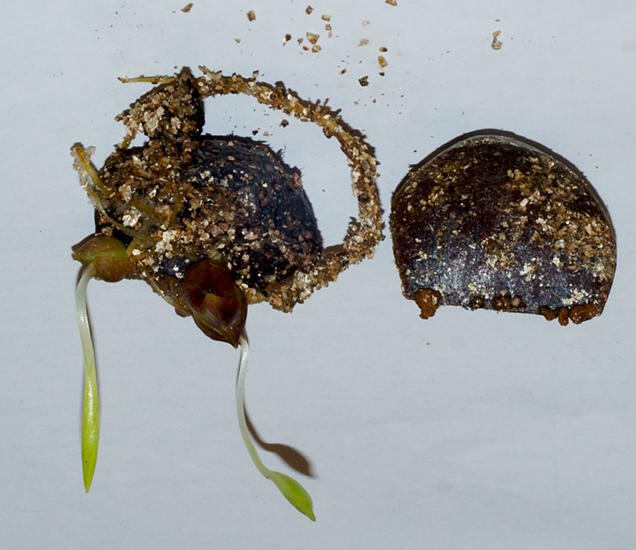 Germination is categorised as hypogeal (under-ground) where a bulb is produced by the seed and a leaf subsequently comes from the bulb or epigeal (above-ground) where a root and leaf emerges from the seed, the root eventually forming a bulb. The way to remember the difference is to think of "hypothermia" (below normal temperature) or "hypodermic" (under the skin). 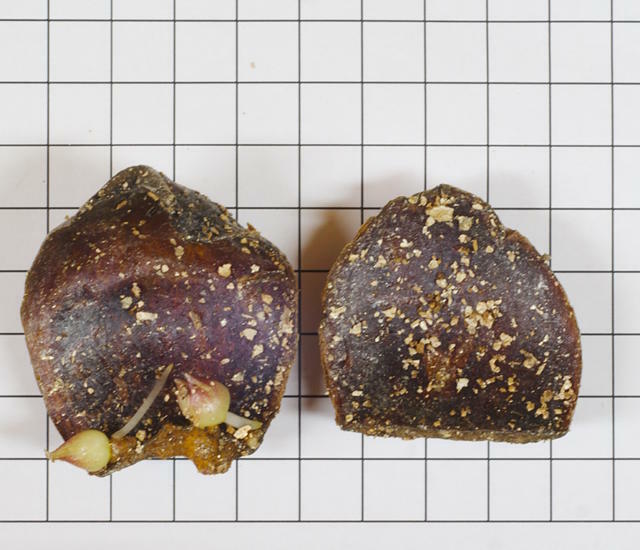 These photographs show the hypogeal germination of a Lilium martagon seed on a 5 mm grid. There were eight days between the first two photos and the third, and a further twenty days between the third photo and the last one. 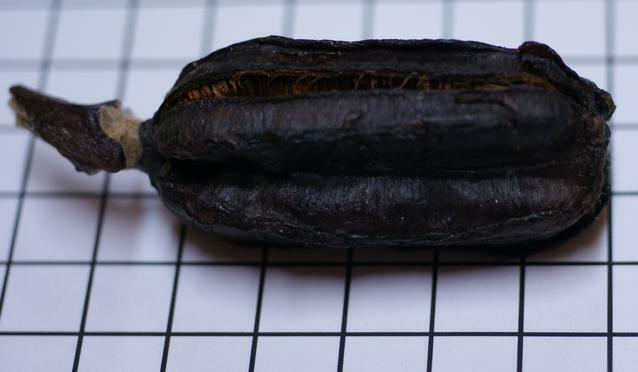 Notice in the final photo the connection to the seed has withered away. 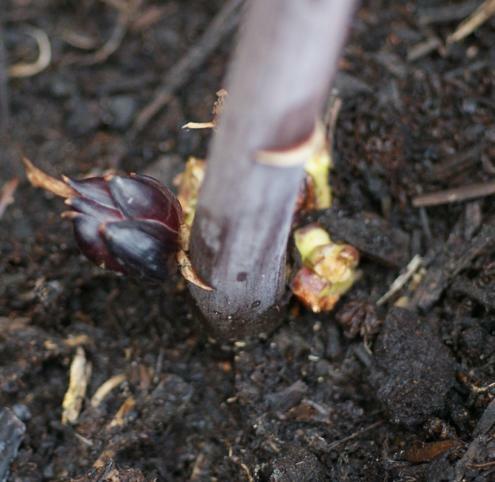 A period of cold will often be needed before a leaf emerges. 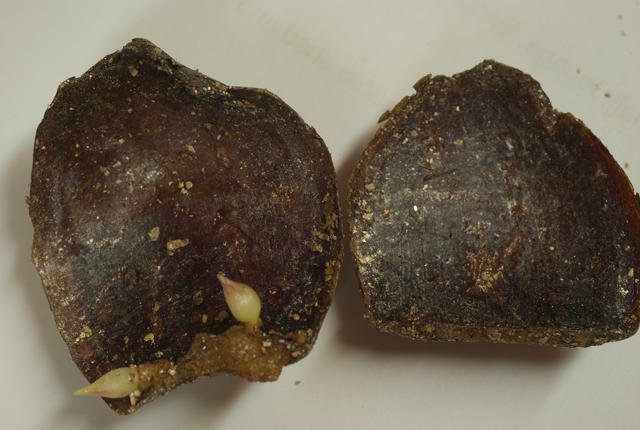 This set of photos shows the epigeal germination of Lilium regale seed, starting 13 days after sowing and covering 21 days. 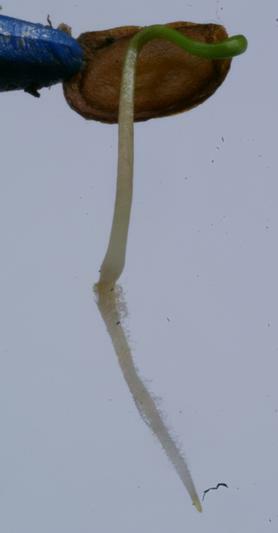 Notice that the radicle or embryonic root, points downward, showing a sensitivity to gravity. 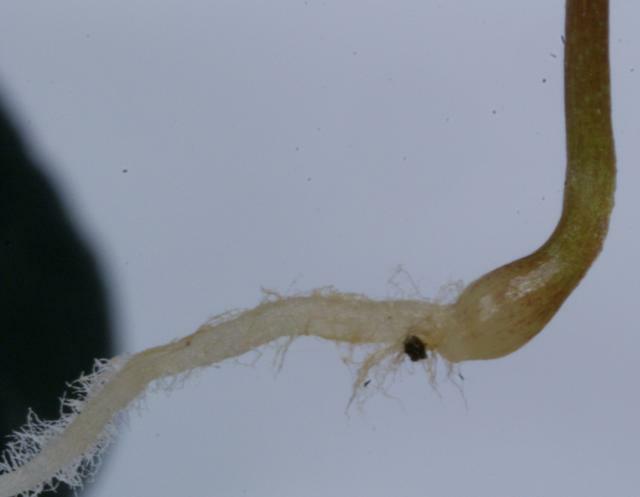 Many species are 'stem rooting', a stem grows upwards from the bulb and roots radiate from it until it reaches the surface. Often offset bulbs are produced in this zone. These can be snapped off the old stem at the end of the season and planted. 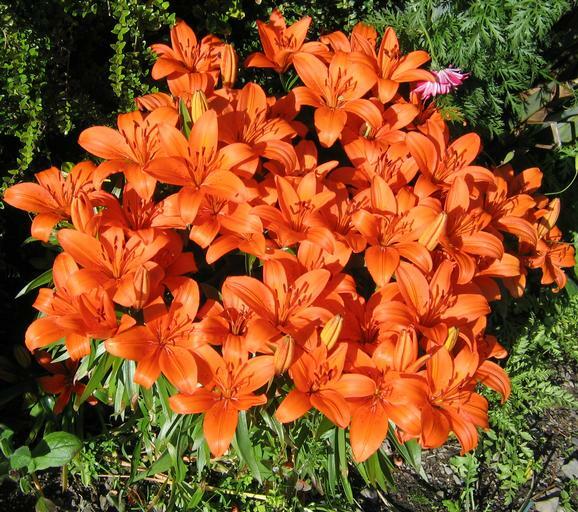 The example in the photographs is an Asiatic lily, other types are not so productive. 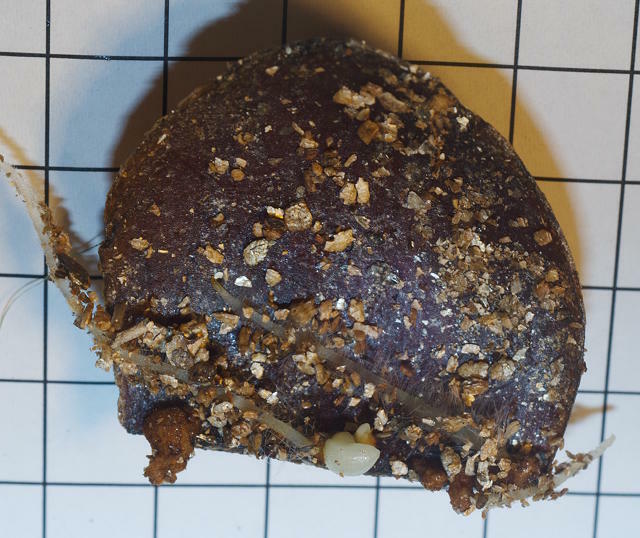 The small bulbs can continue above the surface and may provide a trail for predators to follow. 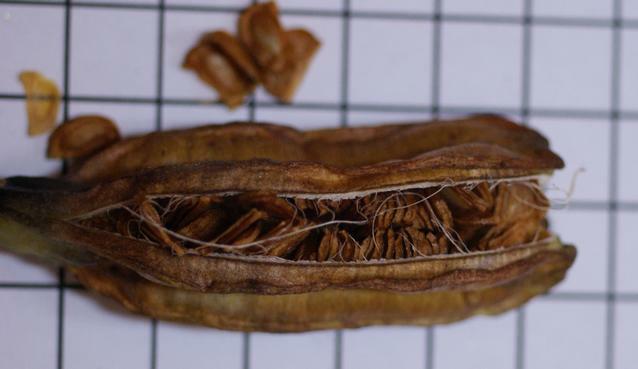 At the bottom of the first photograph there is the single large bulb that was originally planted, above it are the many small bulbs produced in one growing season, and then a section of stem. The second photo is a close up of the top area. 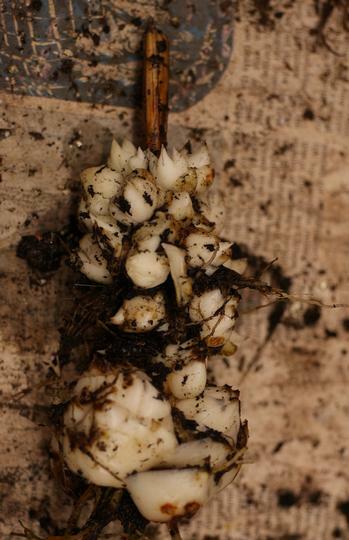 The final photograph shows that left alone in the ground prodigious offset bulbs will produce a clump of flowers. 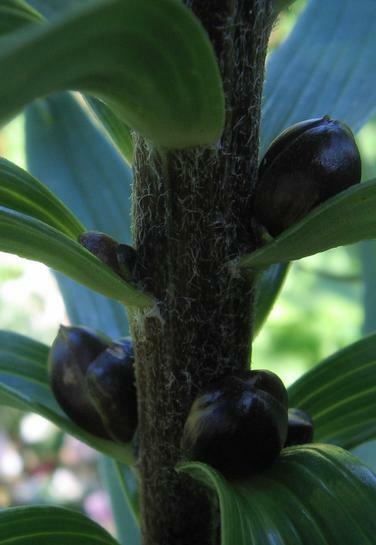 Lilium bulbils Often small black bulbs known as 'bulbils' are produced in the aerial leaf axils. 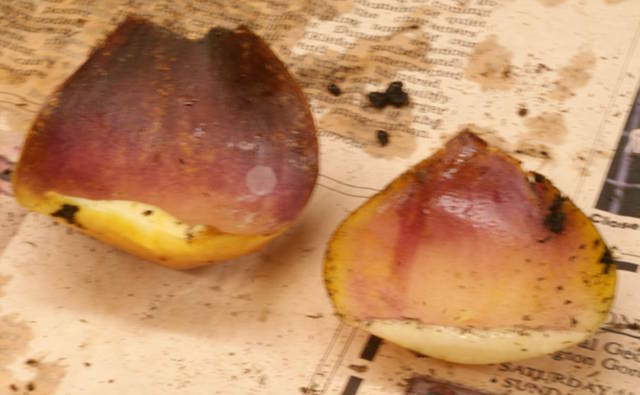 These will fall to earth at the end of the season and 'self sow', for propagation they should be allowed to become large and planted as soon as possible when detached from the stem. They can have roots and even leaves whilst attached to the mother plant. 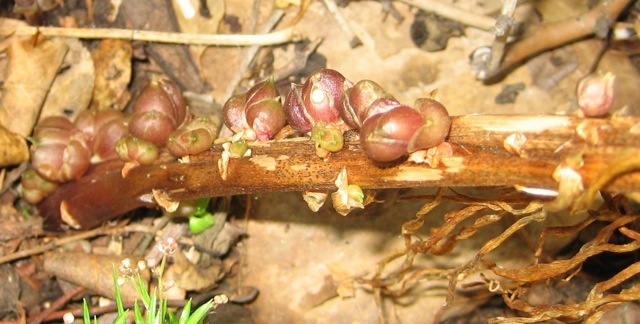 Final photo by M. Gastil-Buhl shows bulbils growing on a flower stem of Lilium candidum. 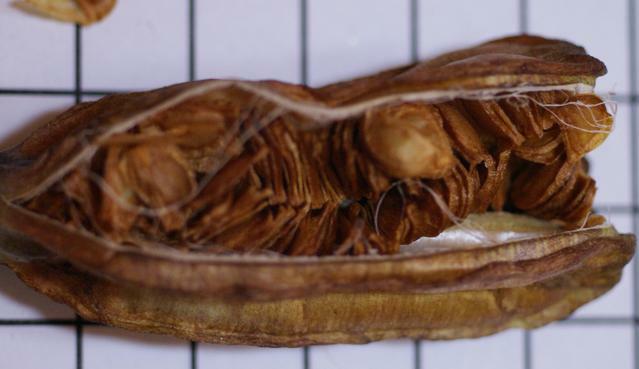 A lily bulb (in many species) consists of scales joined at the bottom (this area is called the 'basal plate'). When the bulb is correctly oriented in the ground the scales point upwards, easy to remember because the scales look like pointers. 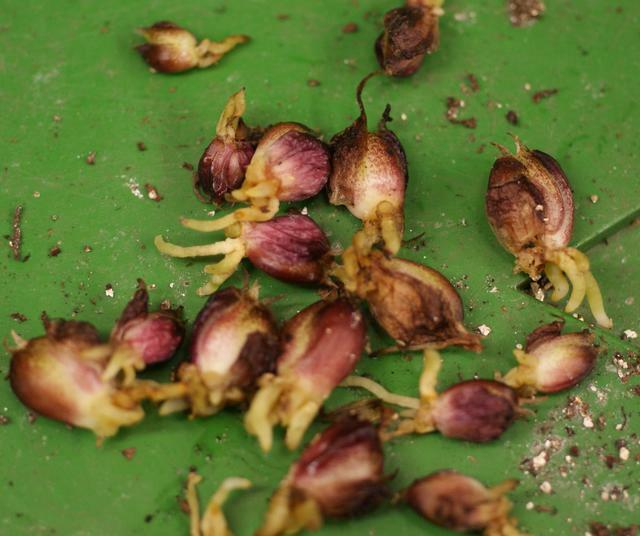 Bulbs can be propagated by 'scaling' a process of detaching a scale and keeping it moist, eventually small bulbs will form on the scale and can be detached and planted. 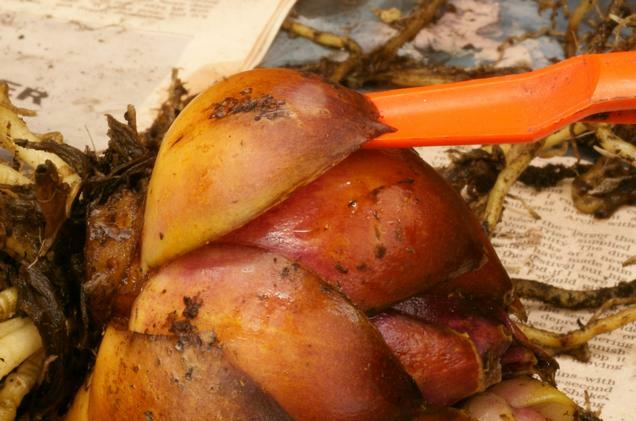 The photographs show a Lilium 'Leslie Woodriff' bulb. 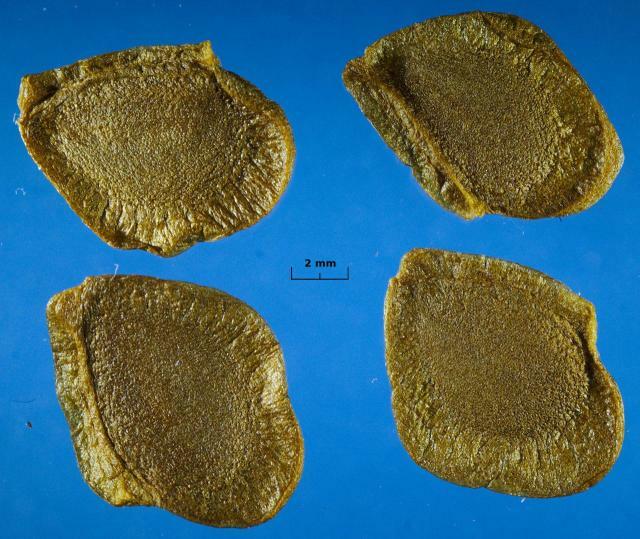 The first one is of the basal plate, the second shows a 'widger' inserted under a scale, the next the resulting broken off scale. 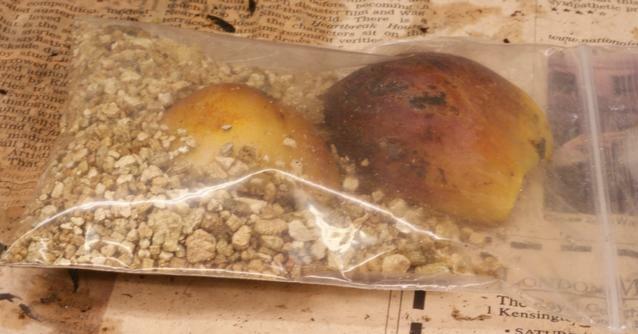 The following pictures are of detached scales, finally being put in a bag of moist vermiculite. 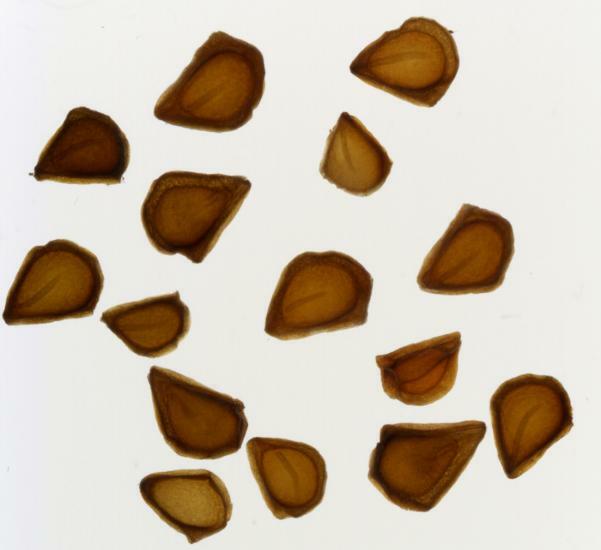 Although it is sometimes said a piece of basal plate is needed for bulbs to be produced on the scale, this is not the case see here. The last photograph shows the same two scales as in the previous ones, five months later. 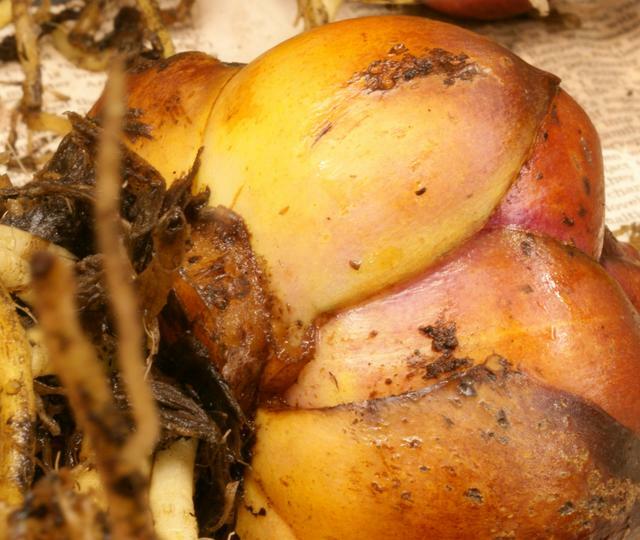 It is apparent that two bulbs are now growing on one of them, as it happens the one with most basal plate attached. 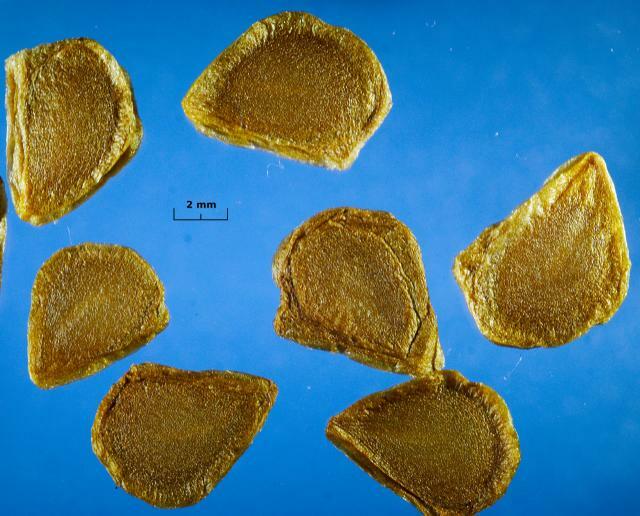 Photos four and six show the 'inside' or concave surface of the scales. 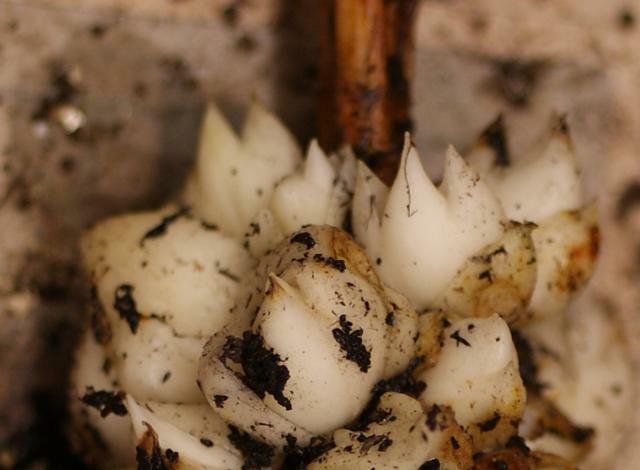 As an alternative to detaching the bulbs, the whole scale can be planted just below the surface of a pot of a gritty well draining compost. 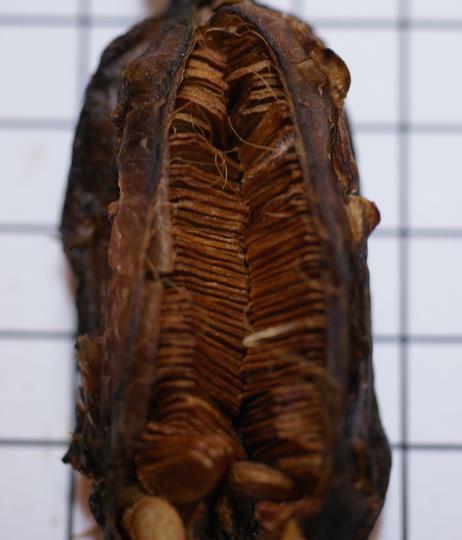 The scaled bulb sequence continues - the first photo shows a 10 mm grid; it can be seen in the next photo that the first scale to grow bulbs now has two developed bulbs with roots and leaves; the other scale has some tiny partially developed bulbs. The final photo of only the underachieving scale shows that eventually (around ten months) bulbs will form.